What’s so great about Pink Himalayan Salt? Did you know that Pink Himalayan Salt is one of the purest salts in the world?! We didn’t, but now that we know, we thought we’d conduct a little research and share our findings. At Duzu Dates, we use a sprinkle of Pink Himalayan Salt (Medium Coarseness) to finish off our Almond-filled and chocolate-covered dates. We did so only because we thought it was pretty, and also found it tasted less salty than other salts. Little did we know just how special these beautiful pink crystals are! A recent conversation with Brenda from Going Nuts led us to do some more research. Going Nuts believes in pure, natural ingredients as do we. So if they were excited about this pretty salt, we just had to know more! The Himalayas include over fifty mountains including the world’s highest, Mount Everest. These spectacular mountains separate Pakistan and India in the South, with China on the North side. The Himalayan Mountain range also includes the countries of Bhutan and Nepal. In the Western region of the Himalayas there are huge deposits of salt thought to be 800 million years old! These deposits are found in the Salt Range in the district of Punjab, Pakistan. 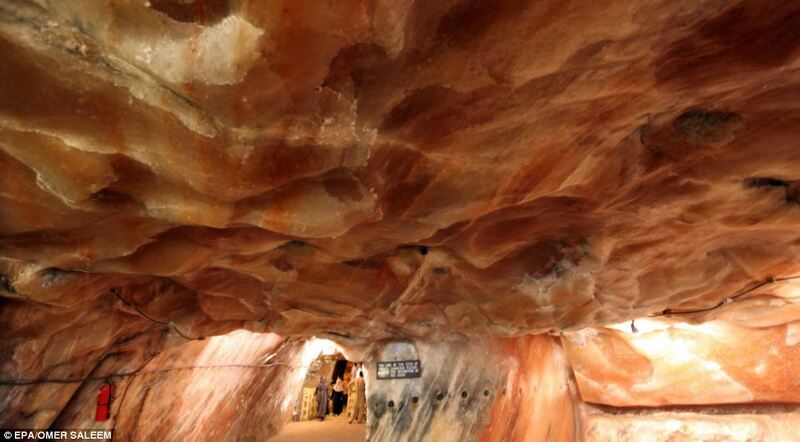 The Khewra Salt Mine is the second largest in the world and 250,000 tourists go annually to watch the unearthing of large bricks of pink salt. Geologists believe that the Salt Range was formed in the Precambrian era – basically the entire geologic time 600 million+ years ago before leading to the Cambrian era when the first micro-organisms of life began to develop. Tectonic plate movements in the earth ultimately trapped a shallow sea within the mountains. Slowly the sea dehydrated leaving behind thick, mineral-rich salt deposits. These lay buried in the mountains for millions of years. Unlike other salts, including salt mined from our oceans, the salt from the Himalayas has been untouched by man, animals, air, water, and therefore, toxic pollution. The ancient deposit is considered to offer some of the purest salt in the world. How does it get its pink colour? The colour is due to trace minerals found in the salt, such as calcium, magnesium, copper, and iron. 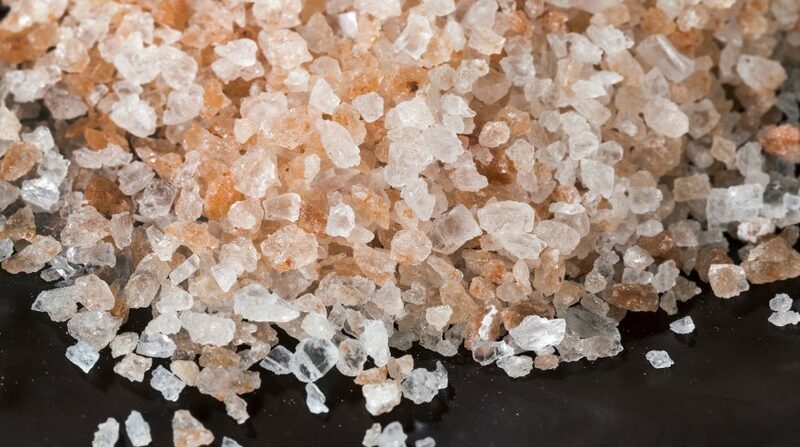 These minerals are what give it a slightly more subtle taste than other salts, making it a good finishing salt. While there are websites promoting the health benefits when eating Himalayan Salt, there are several more that state that these health benefits don’t exist. Our research suggests that all salt is is sodium chloride, but the way salt is processed and mined is different. For example, table salt, or iodized salt, is just that – salt that has been iodized by spraying it with potassium iodate. Then dextrose is added as a stabilizer to prevent the potassium iodide from evaporating. It’s not all bad as we do require iodine in our bodies to regulate thyroid function. Does this mean that you should reach for the table salt instead? Not necessarily. One can ingest iodine by eating wild-caught fish, green vegetables, and sea vegetables, such as kelp. If you haven’t thought about where your food comes from and what you are putting into your body, it’s always a valuable exercise to know its origins and do what you feel is right for you! We are committed to using simple, natural, pure, ingredients. Ingredients we can pronounce and those that we can trace to their origins. We enjoy the fact that Pink Himalayan Salt has been around for millions of years. It makes our dates seem so young – they’ve only been around for several thousand years. Did you know that dates are one of the oldest cultivated food? Our first civilizations thrived on this natural superfood! There is no doubt that Himalayan Pink Salt is the most beneficial as well as the hygienic salt available on this planet today. Great health benefits with great taste. With Himalayan Salt, I also recommend Himalayan Salt products. I have been using salt lamps and they are super amazing. I got them from Saltean and I can see that how their warm glow has improved my irregular sleeping patterns.